In a bid to get some work done on my own sites, I have decided to undertake the NaBloPoMo challenge this November, which involves publishing a blog post a day for the entire month. I spend so much of my time doing paid writing for other people’s websites that my own can get sadly neglected at times, so I am using this challenge as a way to start populating my own web properties, too. Other writers are embarking on NaNoWriMo, a challenge that captures the imagination of thousands of people across the world as they try to write a 50,000 word novel in a month, and although I don’t have the time or energy to do that this year, we did publish a podcast episode about how to go about it, and I suspect I will be taking some of my own advice from that when it comes to sticking to the NaBloPoMo challenge, too. November seems to be the month when a lot of these types of challenges kick in, and they are not just related to writing. Plenty of men use the month to grow a ‘tache, for instance, and my hatred of the hairy facial features is not eased by their proliferation during this month each year. However, it’s not for me to say how others present their faces, so I just try to be tolerant. Thinking about it, November is a good choice for this kind of thing. Spending every day writing thousands of words of a novel or finding a topic for a blog post would be considerably less attractive if it was preventing us from chilling on the beach on a summer’s day. However, the weather here today makes me happy to be inside, typing away: the blustery, freezing wind and soggy clouds are foul, and I am not at all aggrieved at being indoors, writing this instead. A month-long challenge seems, to me, to be the perfect length of time. If it went on much longer, I would lose any impetus I had to keep going, and if it was shorter it wouldn’t feel like much of an achievement. If I can blog or add a page to one of my websites every day for 30 days, that will be a whole lot more new web content and when I start flagging I can remind myself that 30 days really isn’t a big deal. I am hosting my NaBloPoMo blog at 21 Day Challenges, where I will post every day to highlight what I have published that day. 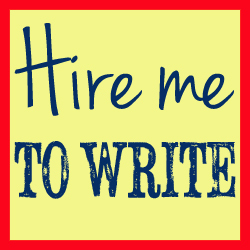 It was a site set up with great intentions a few years ago, and then entirely ignored as full-time freelance writing has kept me incredibly busy. So, feel free to head over there and subscribe to keep an eye on how I get on with my daily blogging challenge. The more people I have keeping an eye on my progress, the less likely I am to give up halfway through! Thanks for all your hard work this year – the blog gets loads of positive response! Hi Philippa, I love it. It’s exactly what we need. I could not have come up with this at all, so thanks a million. I mean it when I say that you were very much one of our most reliable and consistently dependable freelance contributors, and that the standards of your work and professionalism stood out throughout your time on the magazine. Indeed, I’ll certainly be retaining your details, in case our paths should cross again in future. Outstanding, written like the writer is having a conversation with the reader. I’m so impressed that I’m going to ask them to write another. Thank you very much for proofreading my documents. You did a great job. My work now looks much better and professional thanks to your fantastic help.